Is Radon a problem in Tuscaloosa? The short answer is, yes. The EPA map shows radon gas levels for West and Central Alabama, and we do have relatively high levels around Tuscaloosa. In fact, we’re classified as “zone 2” which means “predicted average indoor radon screening levels greater than 4 pCi/L”. What does that mean for home and business owners? It’s something you should definitely consider when buying a home or property. Where it presents a problem is when the gas cannot escape the indoor environment. It can accumulate to levels that are unsafe to be around over time. If you’re concerned about radon gas, there are abatement systems that can be installed, but first you want to get your levels tested. We offer Radon Gas Testing Services to Tuscaloosa and the surrounding communities. Radon is a radioactive gas, but it is also naturally occurring in the soil. Uranium concentrations in rocks and soil off-gas into basements and crawlspaces where it eventually finds its way into the home. Modern construction saves money by reducing drafts, but it can also trap radon gas inside the home. Radon abatement systems generally vent the gas from the basement or crawlspace to reduce overall levels inside the home. 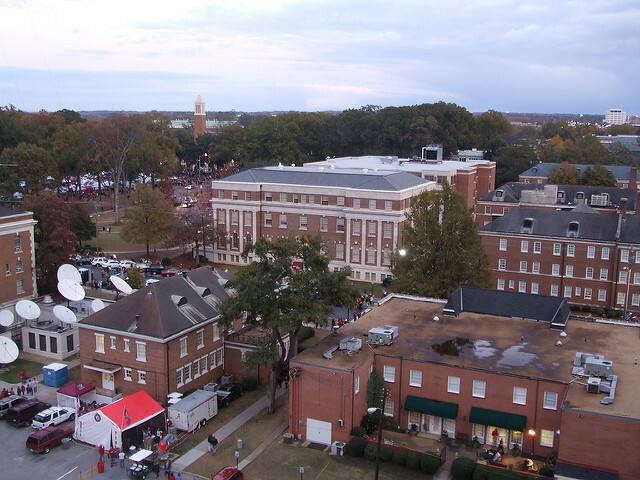 Who Can I Call for Radon Testing in Tuscaloosa, Alabama?